frame 15 x 36 inches. How do you rate these set of 4 ? 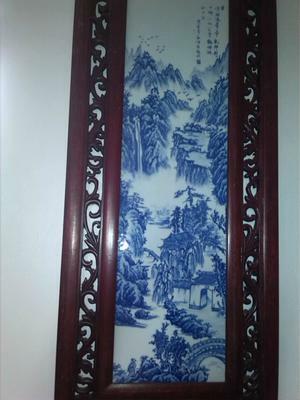 Comments for set of 4 chinese blue and white porcelain plaques. With such pictures it is impossible to know what this is. 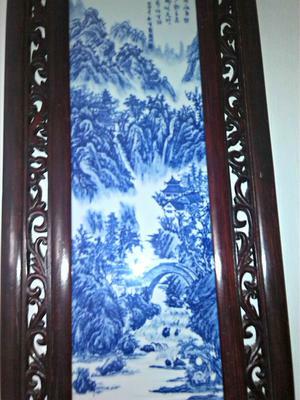 Most porcelain pictures of this type are modern, however. 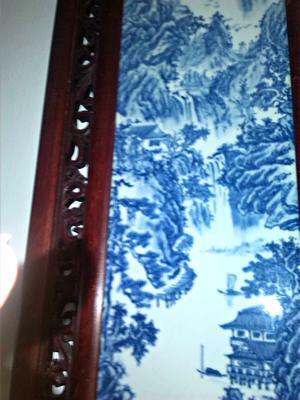 Closeup partial pictures of a a few parts of the decoration on the bottom of the porcelain would be necessary to tell more. 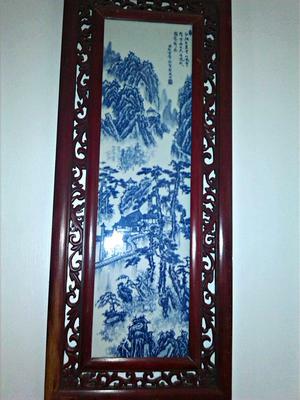 But, as mentioned above, the ikelihood of it being antique or old is small.